This comes from an idea by tanypredator. I wanted to learn how to dig a hole in the ground so here it is. The stone limit is 1200. You can have 4 workers. to compensate for not having so many workers. 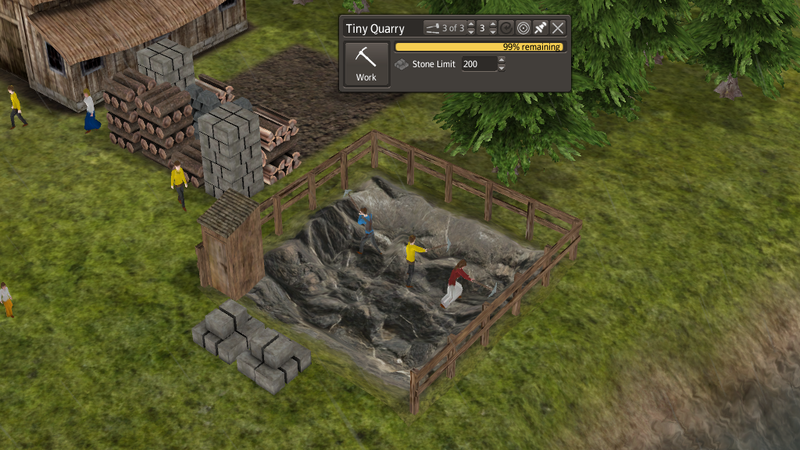 When you destroy the quarry, it leaves a hole in the ground. The hole can be removed by a Flatten tool. It has an unhappy radius (20) but that should not bother too much.